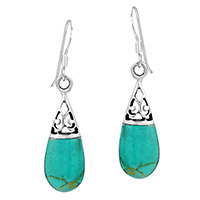 Artisan KJ from Thailand handcrafted these elegant gemstone earrings featuring sterling silver accents. 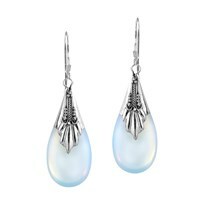 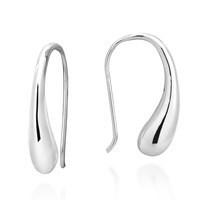 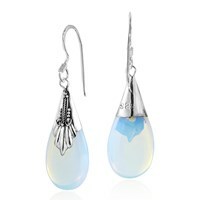 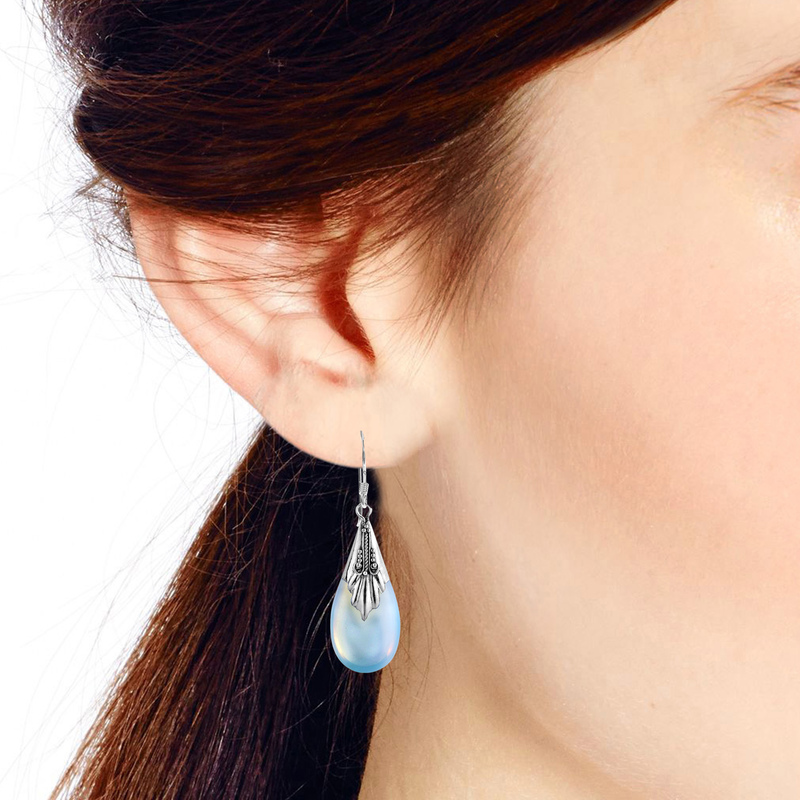 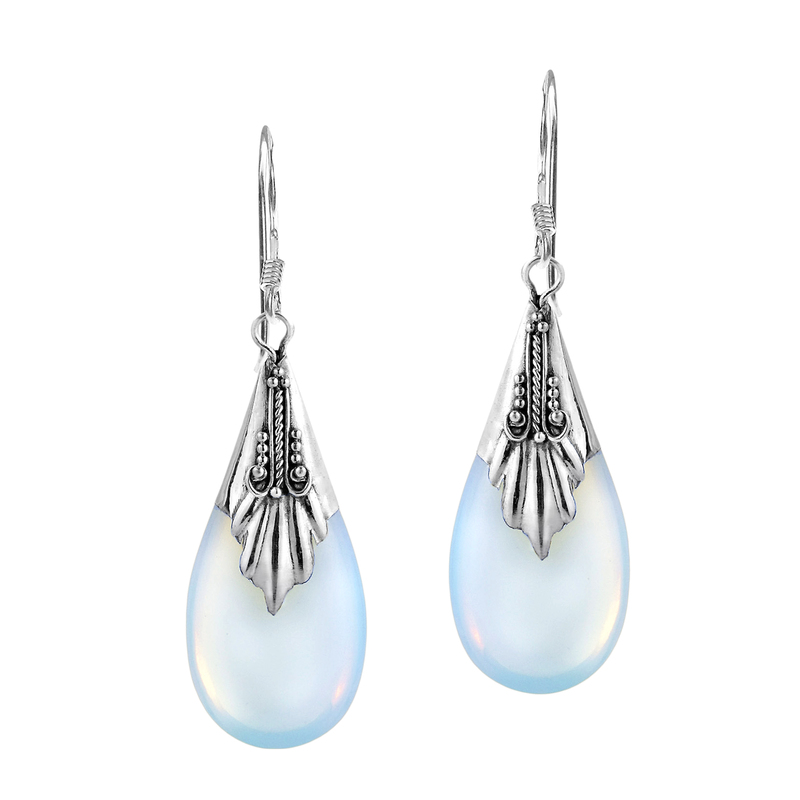 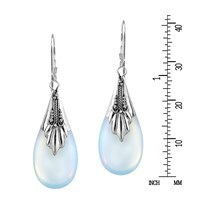 The design features a teardrop shaped, synthetic stone with sterling silver and stone embellishments at the tip. 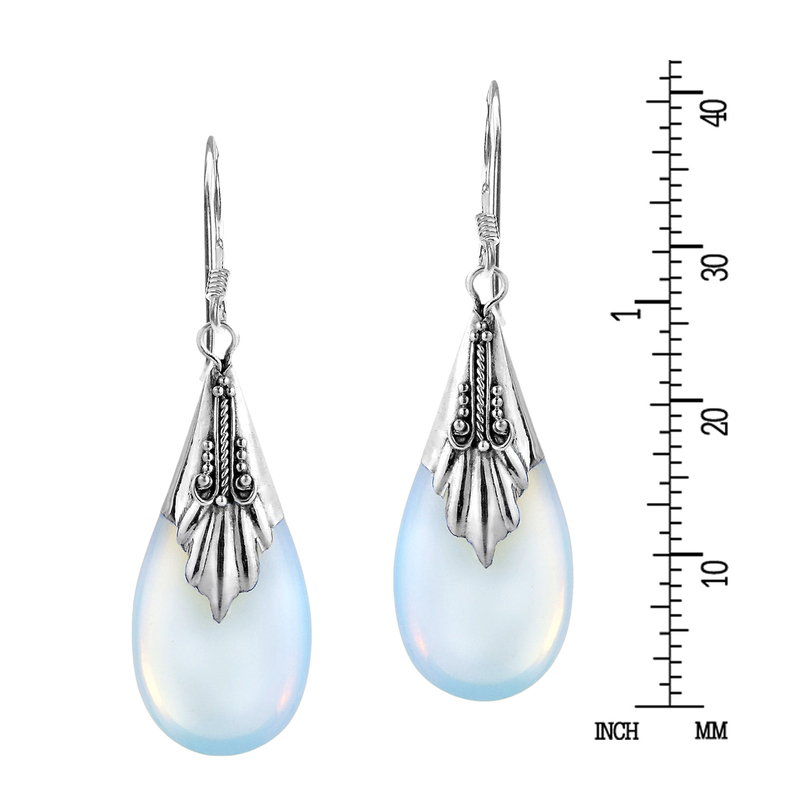 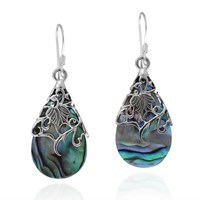 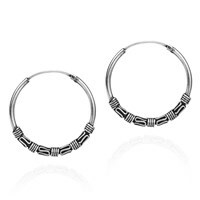 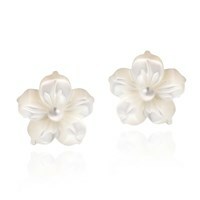 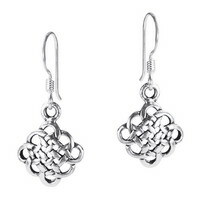 The set includes one pair of earrings with fish hook closure. 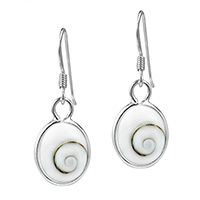 Simple yet elegant and sophisticated, this necklace works great with all types of styles and occasions. 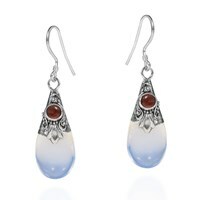 We encourage you to check out our other products for additional color and style combinations. 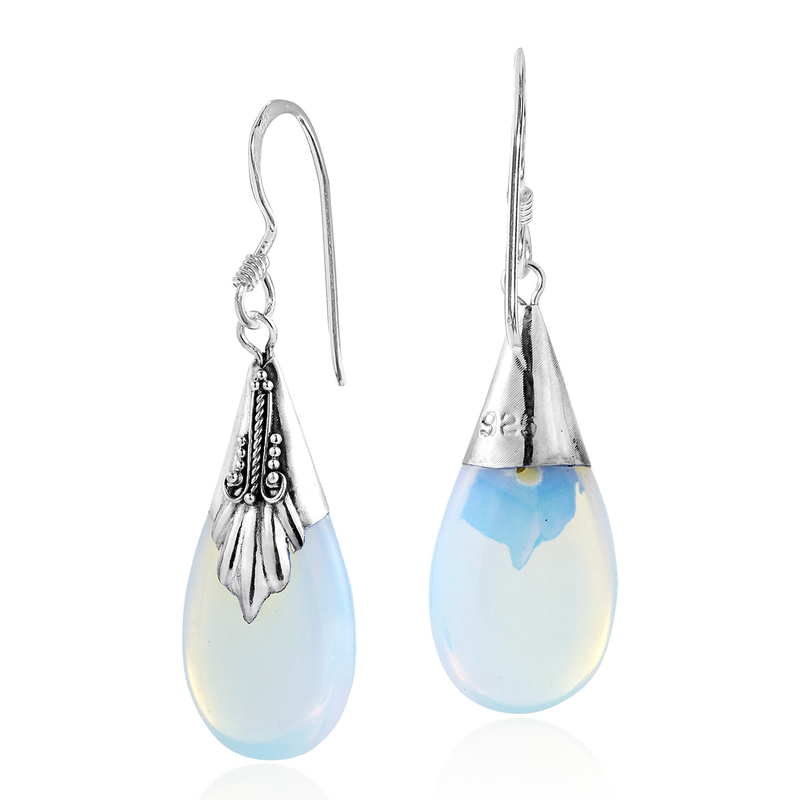 NOTE: This piece is also available in a necklace set.